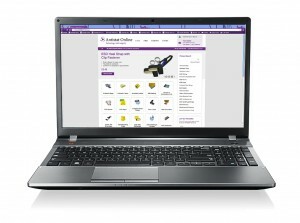 ESD protection specialist, sister company Antistat has launched an online store @ www.antistatonline.co.uk. Recognised as Europe’s largest supplier of antistatic shielding bags, Antistat created the online store to make their most popular ESD products more easily accessible for a wider audience. They have built the store so that customers from anywhere in the world can place orders for fast turnaround, regardless of what time zone they are working in, or what time of day or night they choose to place their order. Now, when the Antistat sales office is closed, the online store is still open for business, making their extensive ESD product range available to order 24/7. The Antistat online store will offer an extensive range of everyday ESD essentials and consumables from antistatic bags and gloves to ESD matting and conductive brushes. Signage, labelling, bench tops, wrist straps and a full suite of European earthing products are just some of the other ESD categories available. The Antistat sales team are always at your service by phone when you need them on +44(0)1473 836 200.